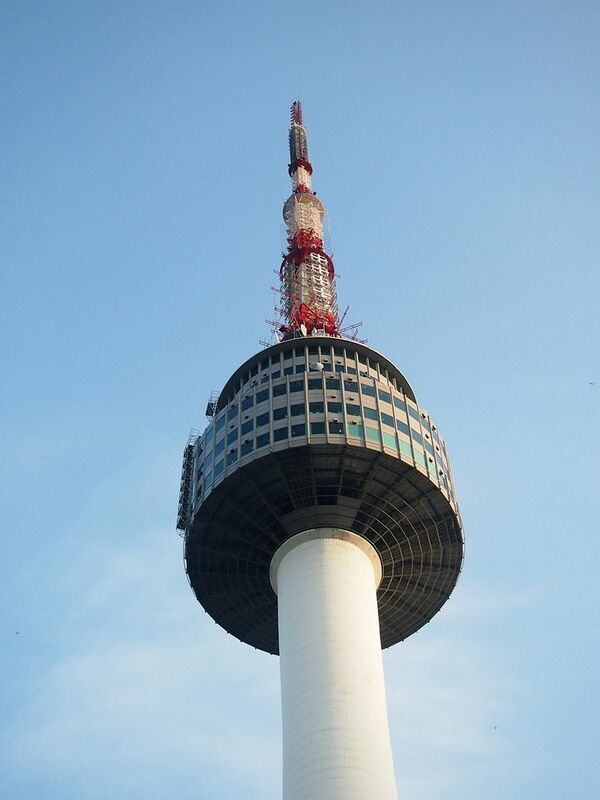 Here's a short guide that we've compiled after being in stunning Seoul for more than a month! 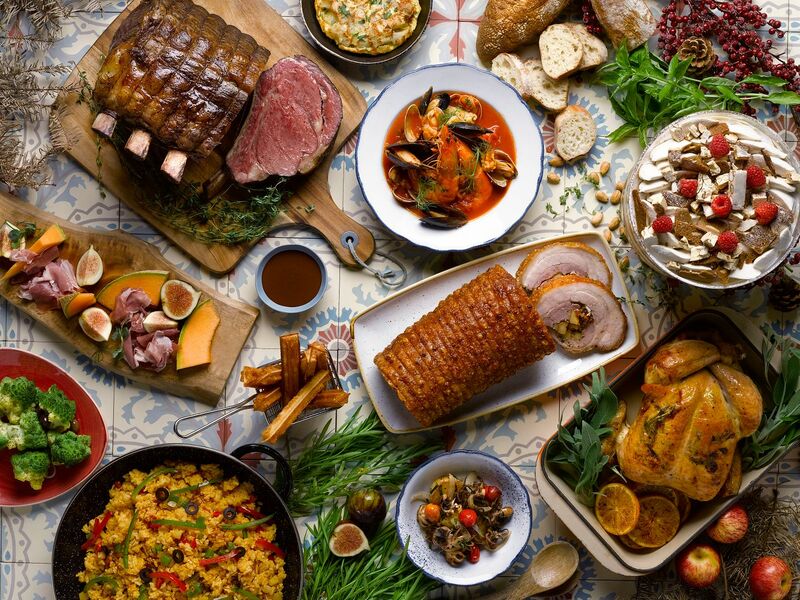 Park Hotel Alexandra brings you a Spanish-inspired Christmas this December. New Executive Chef, Ian Hioe, and his team are excited to present a myriad of classic Christmas dishes with a splash of Spanish flair. Not only is The Carvery all dressed up and ready for Navidad, gorgeous poolside bar, Aqua Luna, and resident coffee haunt, The Coffee Belt, are also prepped to surprise guests with a Spanish take on popular beverages. We can almost hear the sleigh bells ringing - Christmas is just a few days away! Haven't decided on a venue to celebrate the most celebrated holiday of the year? 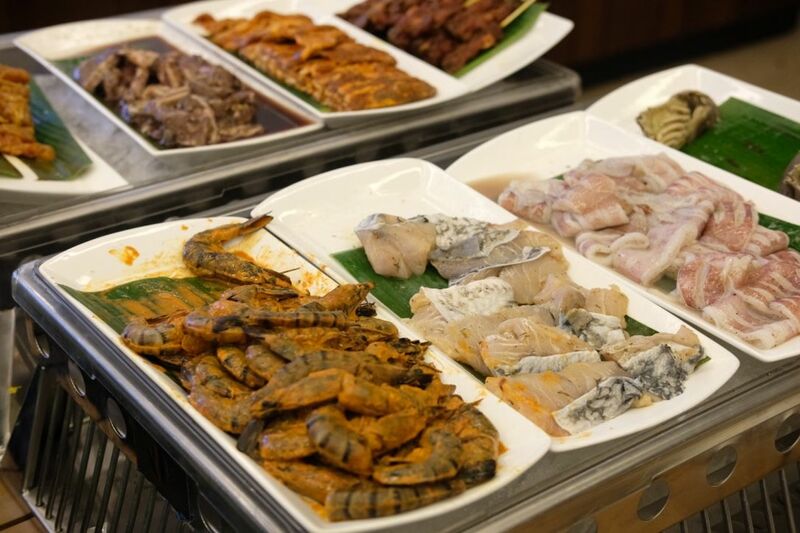 Marriott Cafe at Singapore Marriott Tang Plaza Hotel has prepared a tantalizing line-up of seafood and meats in anticipation of the jolliest occasion, and you will want to take a look at what they are offering. 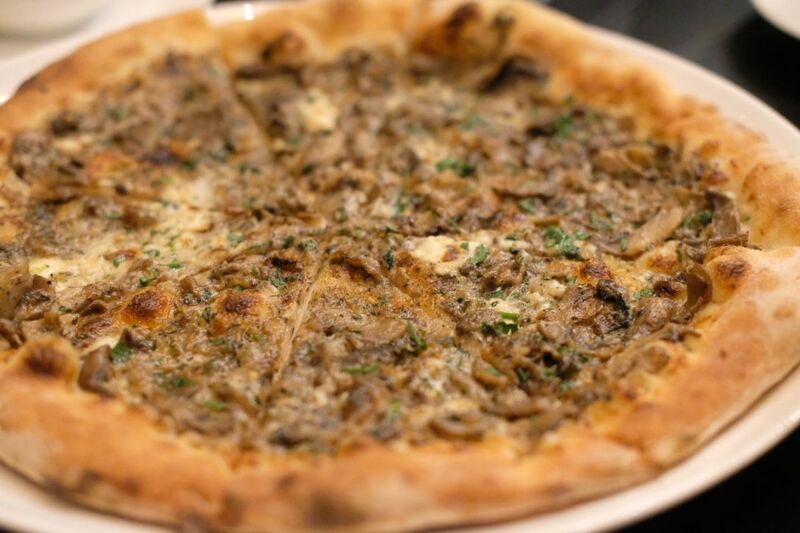 5-month-old Folklore is helmed by Chef Damian D'Silva, a known and respected figure in the local dining scene. 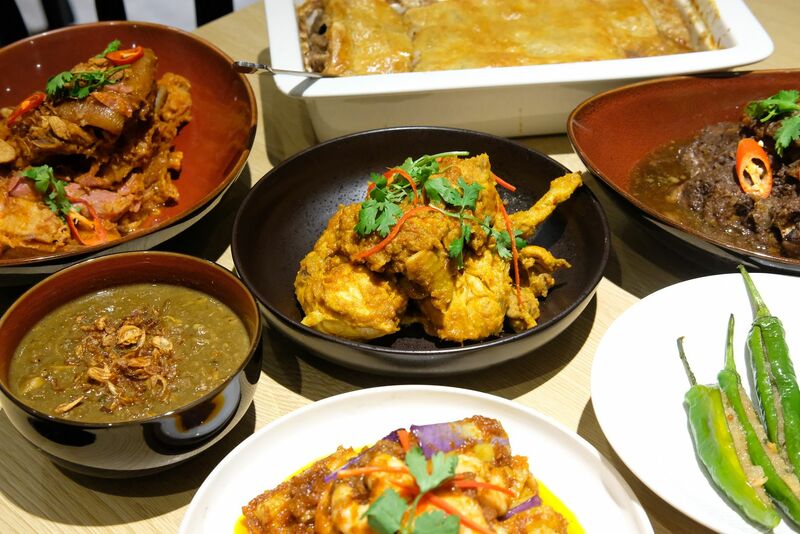 Chef Damian has been whipping up heritage Eurasian and Peranakan fare for years, and loyal fans of Chef Damian can now get a taste of his food at Destination Hotel along Beach Road. Christmas is fast approaching and a Christmas menu that features 8 classic Eurasian dishes is in place to welcome families and friends. 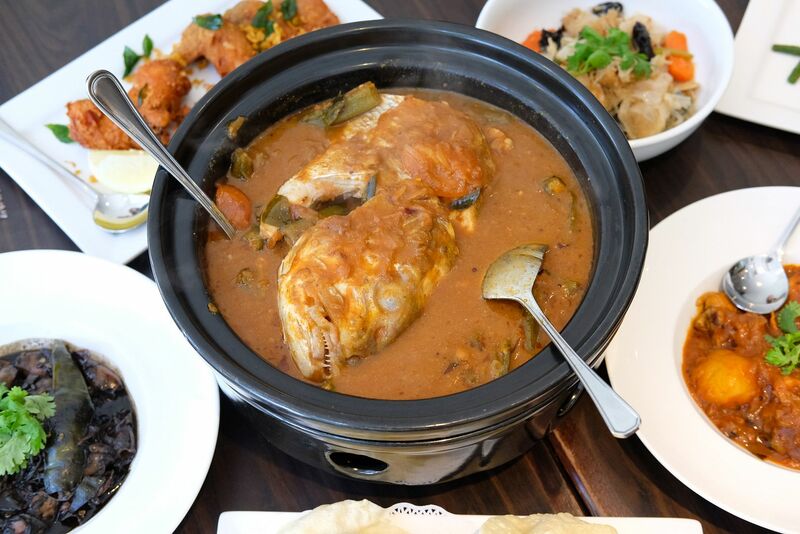 One of the stars is Feng ($30), a traditional European curry dish which was a creation born during the sea expedition days by the Portuguese. 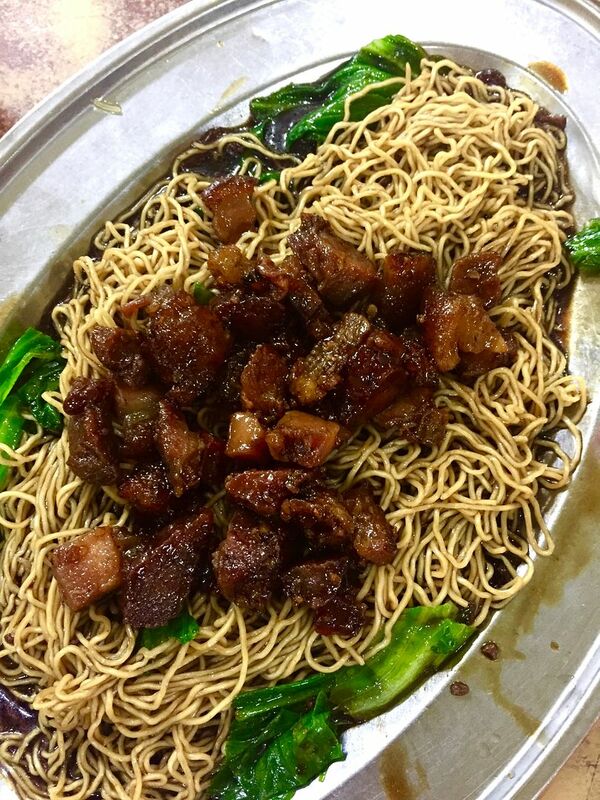 Originally known as Sarpotel in Goa, Feng comprises an assortment of pig's offal that's cleaned and diced to 0.7cm cubes. The meat is mixed with Feng curry powder that is made up of 18 different spices that are handpicked, cleaned and sun dried before finely ground using a mill. Tons of other spices and ingredients are added in and the total cooking process can take up to 3 days. You can't quite find Feng anywhere else, and you can't miss this if you're visiting Folklore. 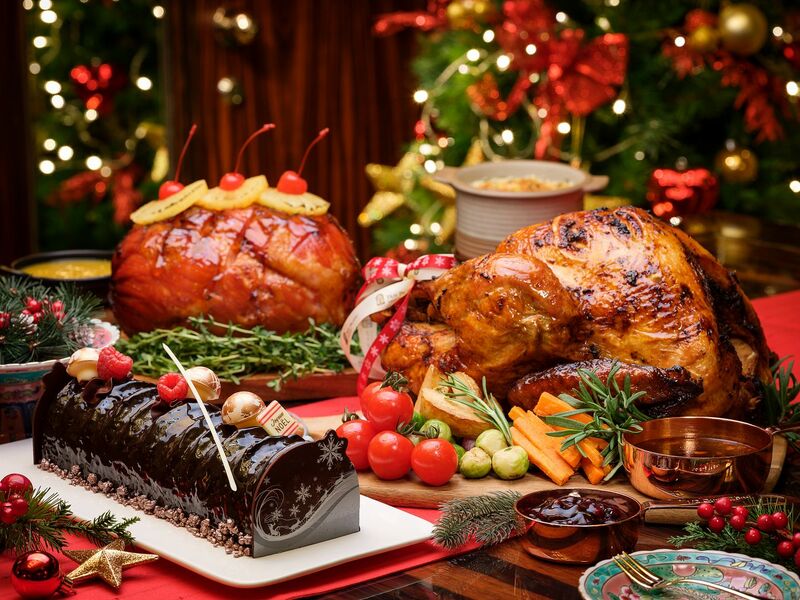 Cook & Brew at the esteemed The Westin Singapore welcomes the festive holidays with a line-up of beautiful new additions. Celebrating Christmas Eve at the lovely restaurant is enticing enough - gorgeous setting, wonderful view, great live music, and amazing food. And now, the restaurant is offering a 50% discount off their 4-course Christmas Eve dinner menu(u.p: $78). You know, it is almost a crime to not dine here. Kisume is a high-end Japanese restaurant by The Lucas Group which also owns the famous Chin Chin. 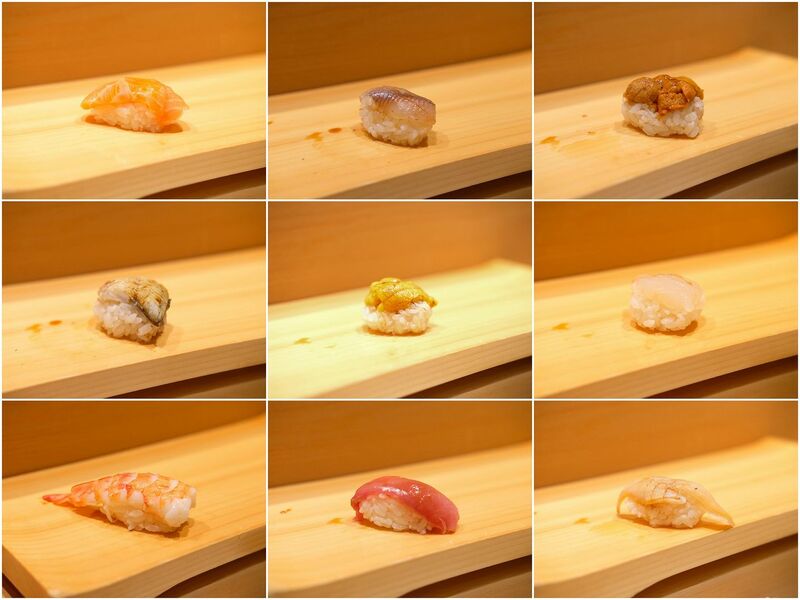 The name 'Kisume' itself means pure obsession with beauty. This was where I had my very first Japanese meal in Melbourne. I was so eager to dine here, you have no idea. Once I was seated at the counter, and presented with the menu, I wasted no time, and went for the omakase set ($88) right away. The chefs know best, don't they? Ibaraki is a prefecture near Tokyo, and it is home to many colleges and institutions. Thousands flock to Mito, the capital city, each year to visit the Hitachi Seaside Park, where different flowers are in bloom throughout the entire year. The park is decked in different colours through different seasoons and the gorgeous park is indeed breathtaking. 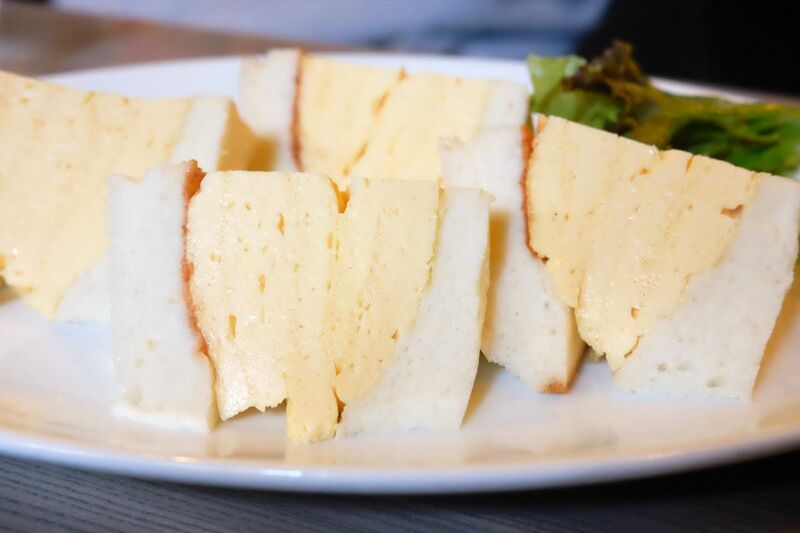 If you're thinking of popping by Ibaraki for a short trip, you have to visit Kaniya! The service here is seriously impeccable. 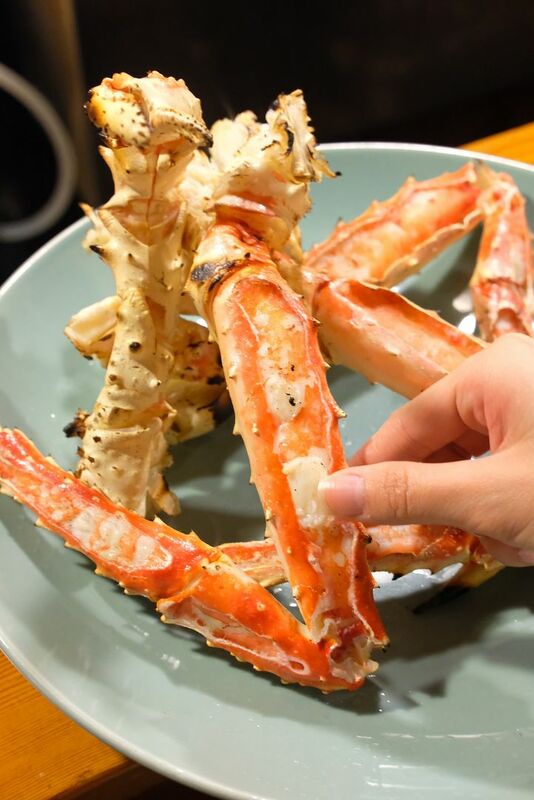 While we were working our way through our King Crab (9,800yen), the old lady washing dishes at the counter decided to help us. She broke the legs and fed us the succulent and juicy crab meat directly! We couldn't help but laugh as we bite the flesh off the shell, from her hands. After dining at Rice Paper Scissors, I knew that a visit to Rice Paper Sister is a must. If you haven't already caught the reference, the latter is the sister restaurant of the former. 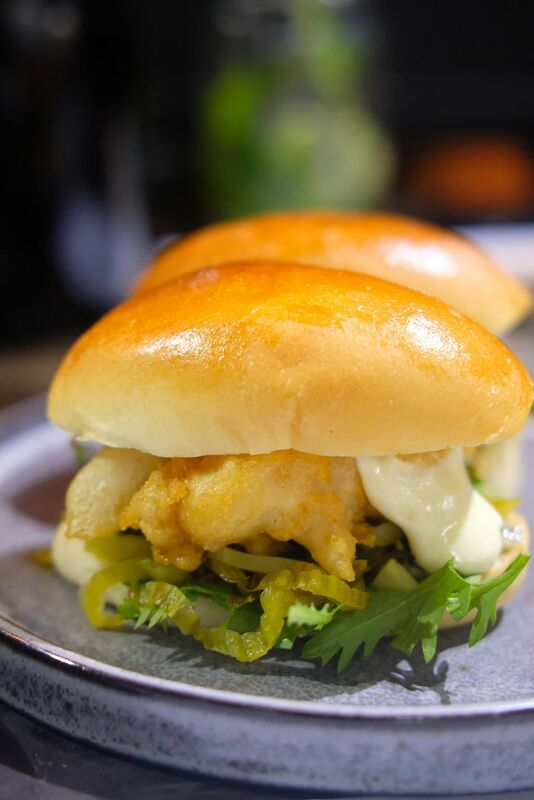 Similar to their first restaurant, Rice Paper Sister also celebrates South-East Asian cuisine with their unique take on classic Southeast Asian dishes. Fresh and organic ingredients that are sourced locally are used here too, but the dining experience here seems to be a tad more sophisticated and refined. The Working Capitol on Robinson is a really pretty space that is home to my favourite cupcake bakery, co-working spaces, and now, Pickleville. 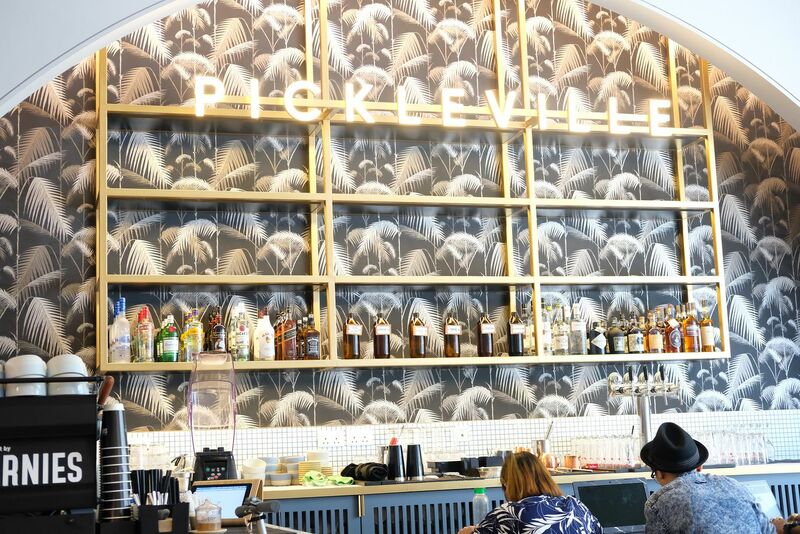 Pickleville is a new coffee haunt by the folks behind Sarnies, and it sits on level four of the building. The cafe has an abundance of natural light streaming in, and eye-catching gold details that I love. A big thank you to Alainlicious for bringing me here! If you don't already know, Pan Pacific Singapore is one of my favourite, if not favourite hotel in Singapore. 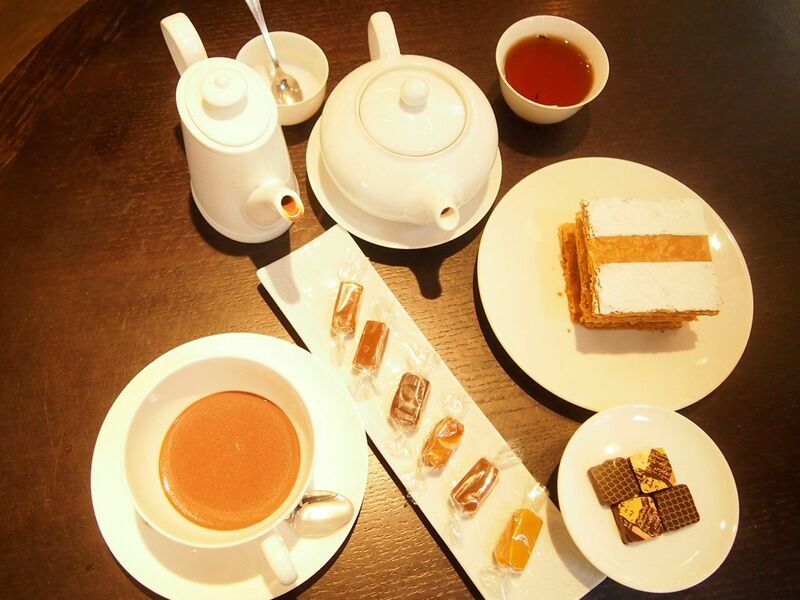 The five-star property has the best buffet restaurant, Edge, a cozy Atrium where high tea sets and cocktails can be enjoyed, a marketplace where you can get your hands on freshly made pastries and goodies, and the amazing Hai Tien Lo which dishes out phenomenal Chinese cuisine. I've been to the hotel many times but it still surprises me - everything is so consistently good here. 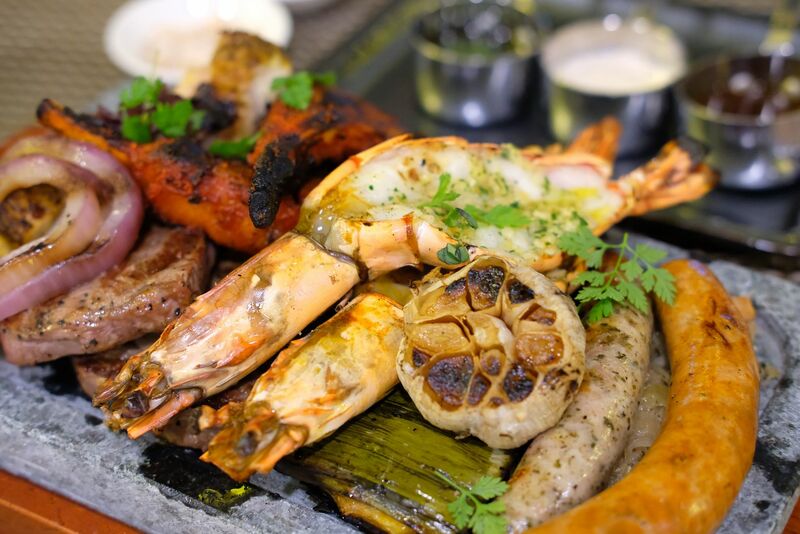 And now, Poolside Patio, an al fresco dining venue adjacent to the refurbishes swimming pool and Poolside Bar, is set to blow diners away with a sizzling four-course barbecue menu on Friday and Saturday nights. 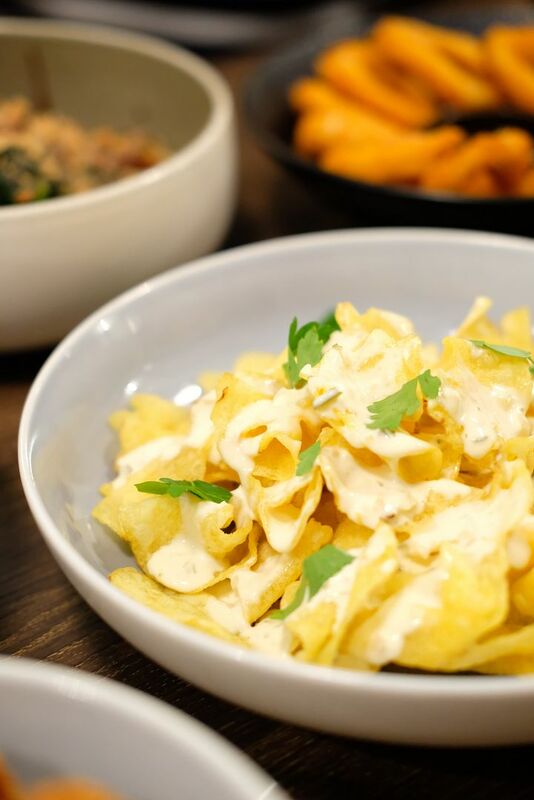 With three outlets in the CBD, MoVida is definitely doing something right. 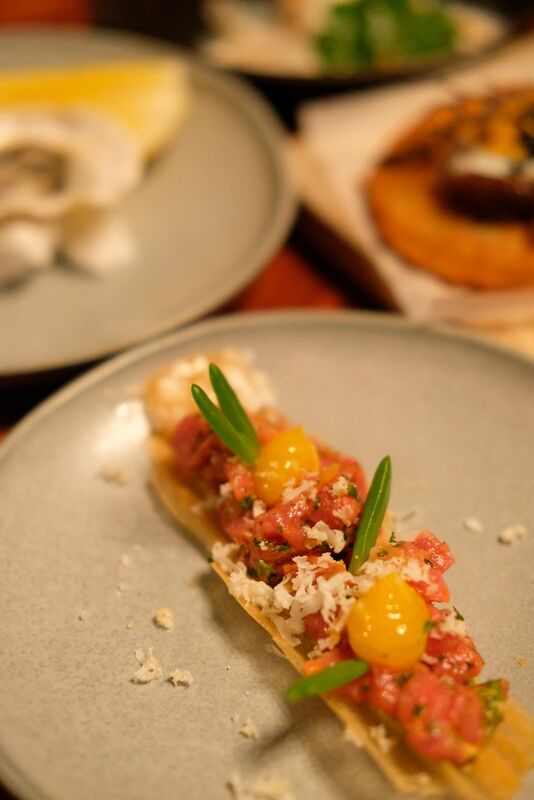 I made a reservation about 2 months prior to my arrival in Melbourne, and stepping into the cozy and warm MoVida Original for my first dinner in this beautiful city proves to be one of the best decisions that I made in my entire trip. Packed to the brim on a Thursday night, MoVida has a team of the friendliest servers who won't hesitate to give you recommendations. 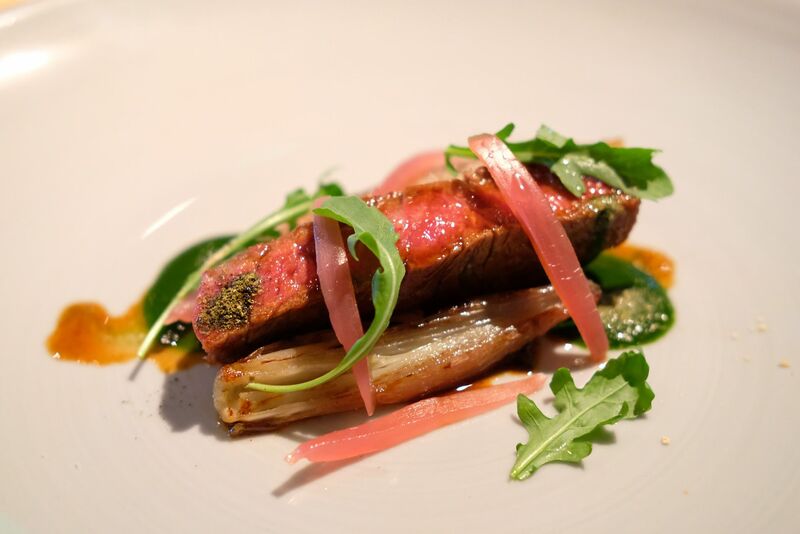 Are you ready to find out more about the second best meal that I had in Melbourne? Before I went to Melbourne, I did plenty of research on where to eat. Every holiday for me is about food, food, and more food. I got in touch with a couple of food bloggers in Melbourne to ask for recommendations. I was so sure that my palate would be dazzled and the calories that I would be piling on would be worth it. Unfortunately, despite heeding recommendations and visiting some of the most raved about restaurants in Melbourne, I was sorely disappointed. 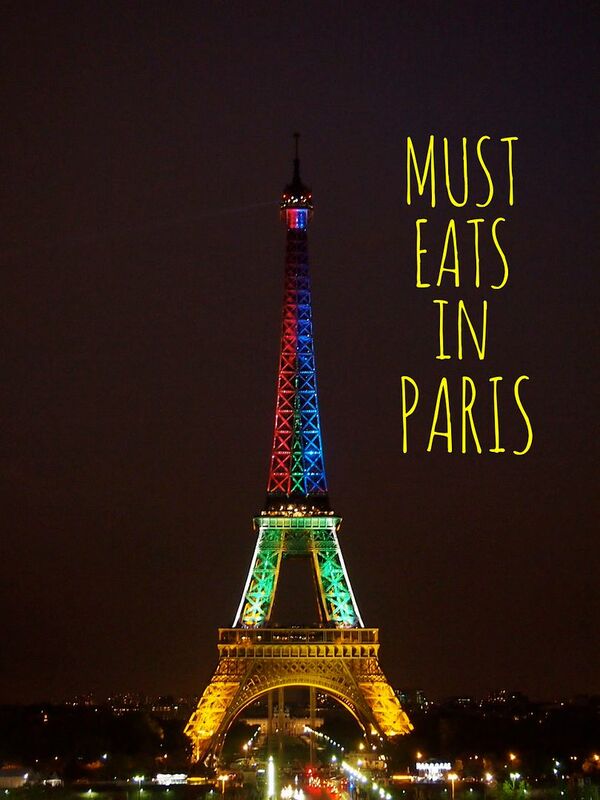 I was there for three weeks, and really had alot to eat, but there are only a few places that I'll recommend. And, Rice Paper Scissors is one of them. The entire dining experience was amazing - the servers were really friendly, warm and helpful, the atmosphere was cozy and lively, and most importantly, the food was really good. 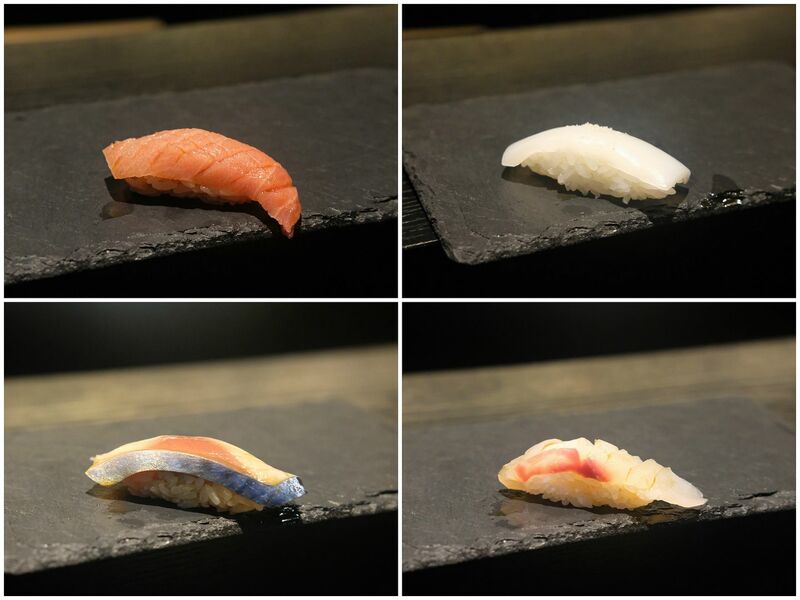 Those who love Japanese food, particularly sushi, should be no stranger to Ryo Sushi. 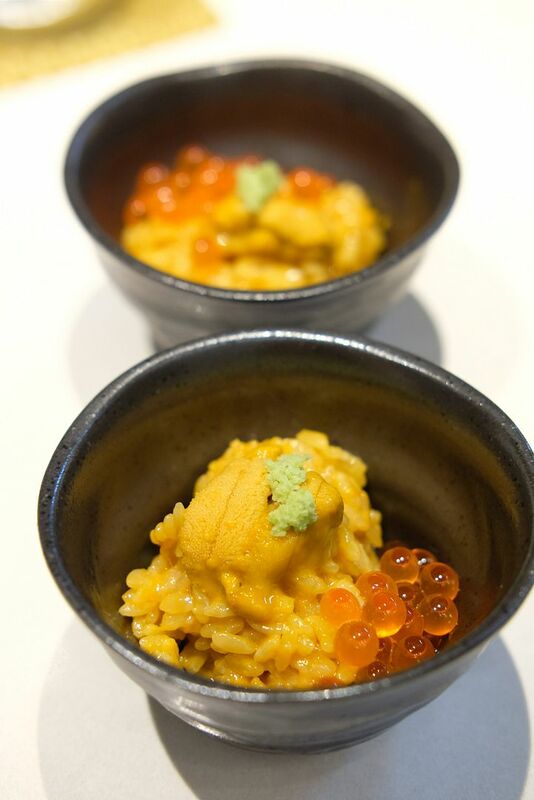 Even if you have not dined here before, you would most probably have heard of their amazingly-priced omakase sets. 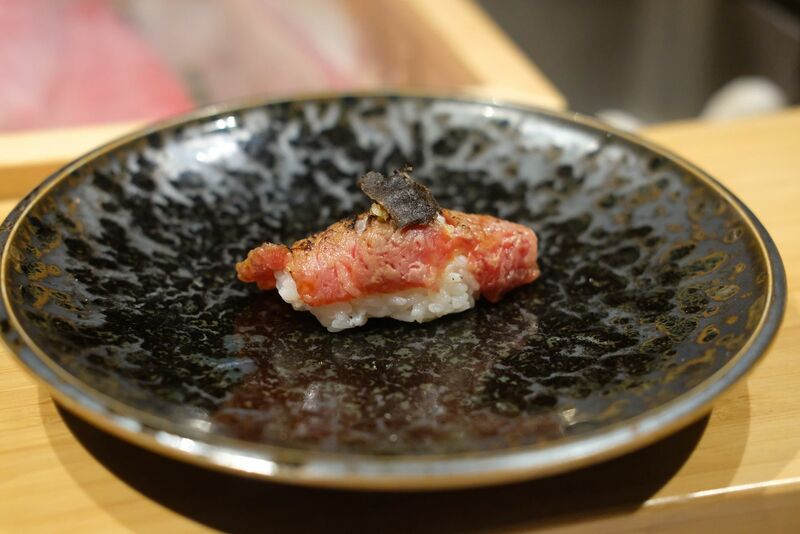 Omakase dinners have long been known to be expensive, with the prices hitting $350 per pax (before taxes) at most of the established and esteemed Japanese restaurants on our sunny little island. Shinji is one of the places where most people dream of dining at, but a meal there will cause significant damage to your piggy bank. If you're thinking of going for an awesome omakase dinner, but not keen on splurging that much, Ryo Sushi is undoubtedly the place for you. People heading to Tokyo on vacation will usually include the touristy stuff in their itineraries. Activities include visiting Kawaguchiko for a glimpse of Mount Fuji, spending the day at Disneyland Tokyo, taking pictures at the famous Shibuya crossing, and more. 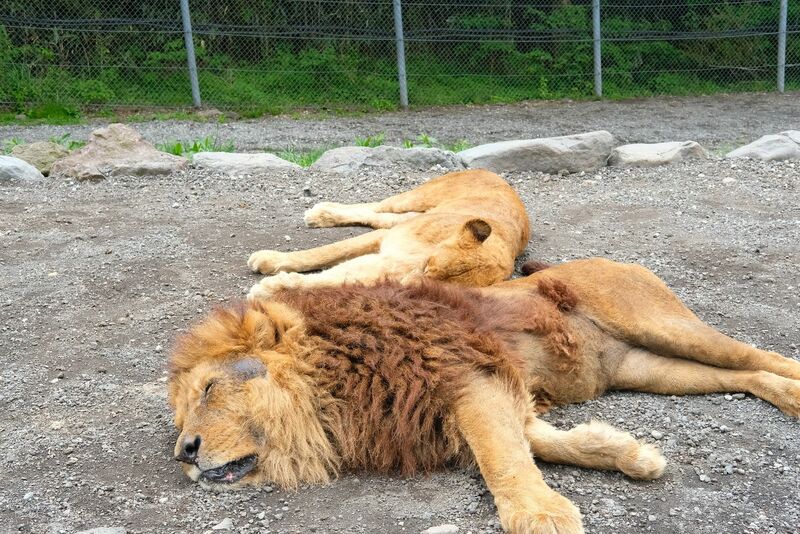 Few know about Fuji Safari Park, which is near Mount Fuji. Fuji Safari Park gives you an experience somewhat similar to what you will experience in a safari in Africa, but at a fraction of the price. 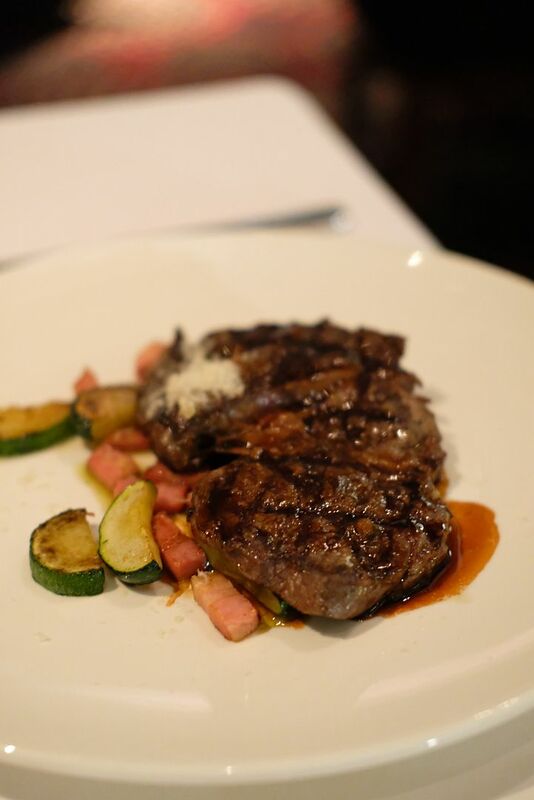 Salt Grill & Sky Bar - Good Choice for Special Occasions? This is my second visit to Salt. The first time was in 2012 during Restaurant Week. I remember loving the ambience and having pretty great things to say about the food. 5 years on, I'm back again. This time, I was here to celebrate my birthday. Of course I was excited to celebrate my special day at one of the most highly acclaimed restaurant in Singapore, perched on the 55th storey in the heart of town, no less. Pictures of these tiny pots of gold have been making their rounds on social media. People say that it's to die for, and I've been dying to try it. I've heard that it's not easy securing a reservation at this popular restaurant along Ann Siang Road. My awesome friends took me here for dinner on my birthday and it was such a treat! I've heard so much about Sushi Yasuda, which has been consistenly ranked as one of the top ten restaurants in New York City. Chef Naomichi Yasuda moved to New York in 1984 and started working at the world famous Hatsuhana. In 1999, he started Sushi Yasuda and the restaurant has been making waves ever since. Chef Yasuda moved back to Japan in 2011 and founded Sushi Bar Yasuda, which sits in the basement of a building in Minato-ku. 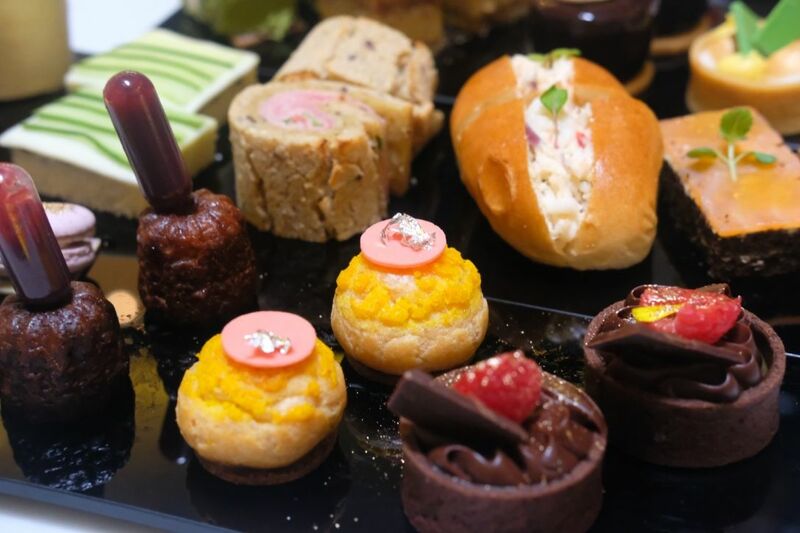 Our afternoon tea at Jacques Genin was amazing. X first brought me here and got me truffles and I was blown away by the design of the place. And a few days later, we returned for tea after receiving recommendations from a fellow food blogger! 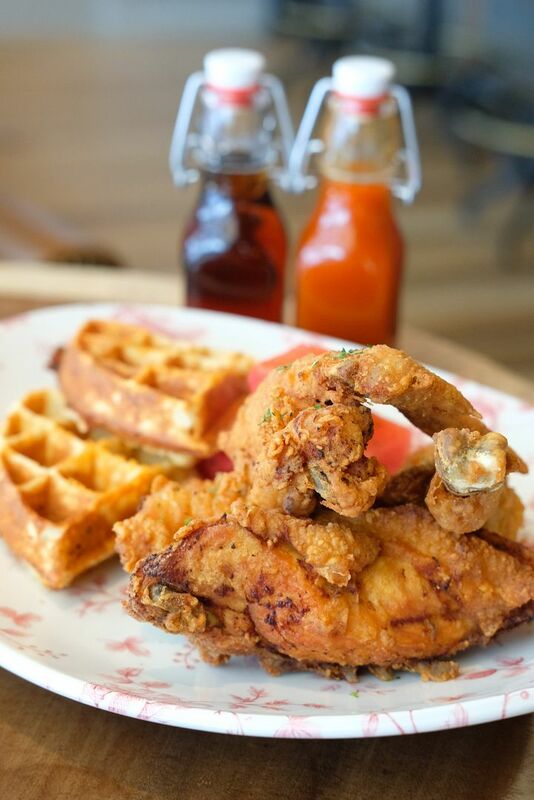 Yardbird Southern Table & Bar, not to be confused with Yardbird in Hong Kong, has brought their award-winning Southern American cuisine to our shores, right at the iconic Marina Bay Sands. They take on a different name, The Bird, but are still serving the same good food and extending the same heart-felt hospitality. If you're a die-hard fan of chicken and waffles, or are a huge fan of authentic Southern American cuisine, this is one restaurant that you definitely cannot miss. The Playground Coffee took over the space formerly occupied by Pits & Pans. 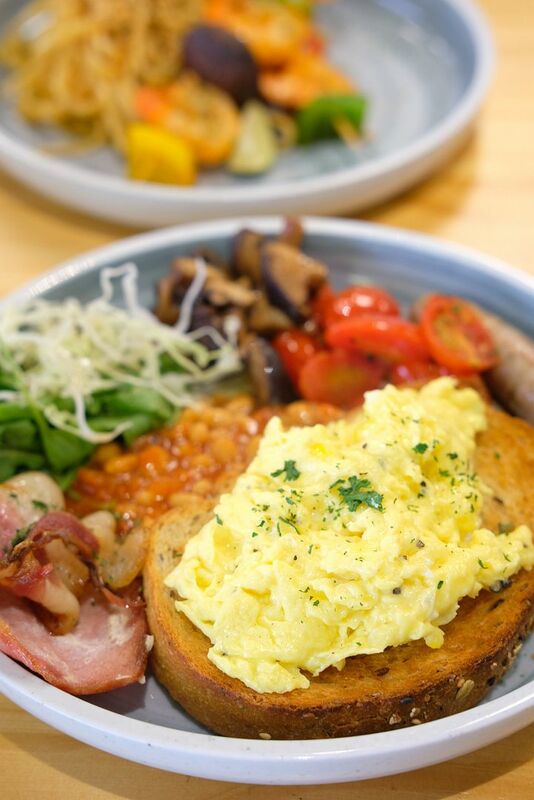 The cafe sits in Nanyang Community Centre and is a cozy space that serves up good coffee and decent brunch fare. You may be able to find similarities, such as the use of geometric shapes in the interior design and logo, between The Playground Coffee and The Populus Coffee & Food Co at Neil Road. This is because The Playground Coffee is set up by ex-staff of the popular Populus. Singapore Marriott Tang Plaza - New Weekend Staycation Package from $288! Marriott is one of the most established and known hotel brands, and is currently the largest hotel group in the world, after their acquisition of Starwood. The massive merger rocked the hotel world, just like how Singapore Marriott Tang Plaza has been impressing Singapore with their popular dining options, and awesome rooms for 22 years. Everyone knows that the award-winning Singapore Marriott Tang Plaza is a luxurious 5-star property, so you can be sure that your stay here will be nothing short of amazing. On top of providing the best amenities and a comfortable stay, Singapore Marriott is offering an attractive Weekend Staycation Package (from just $288!) 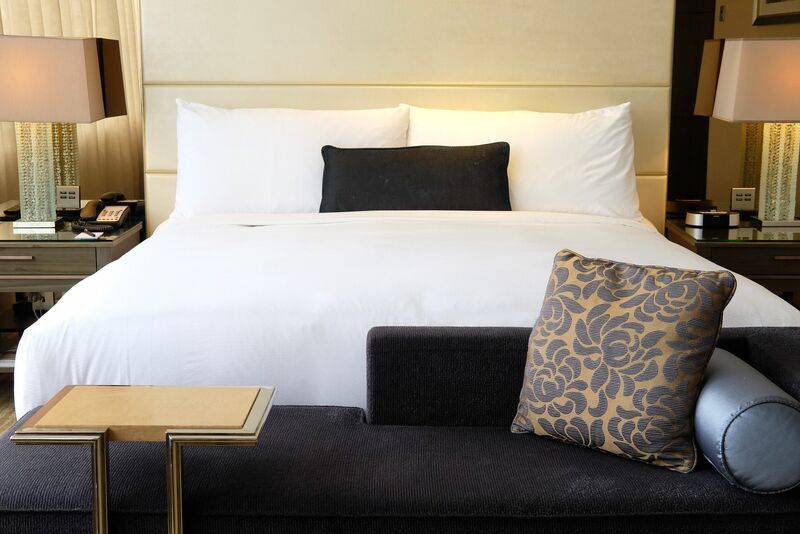 Laze the weekend away in the gorgeous room, dive into a yummy dinner at Marriott Cafe ($50 dining credit included), rise and shine to a sumptuous breakfast, and check out only at 3pm. Provisions, the new kid at the ever popular Dempsey, spans 1600 square feet and seats 69 in total. Diners can choose to dine in the comfort of air conditioning or catch some natural breeze in the alfresco setting, all while enjoying a hearty meal of Asian food delights and creative cocktail concoctions. Provisions rocks a industrial-chic look and promises to evoke nostalgia with ornaments and old school snacks that are familiar to us in our childhood days. 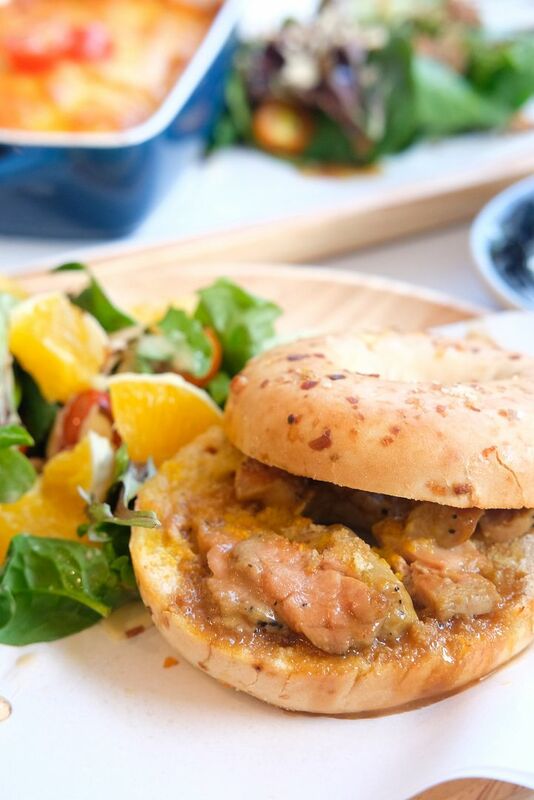 SPRMRKT was born out of a shared love for food and art. The five-year-old haunt has gone through an interior refurbishment and has recently introduced new all-day, brunch and late night menus of hearty and wholesome favourites at their McCallum Street café. Pair the new creations with their signature smoothies, refreshing organic beverages and boutique wines that follow sustainable, organic and biodynamic practices, and you won't go wrong. 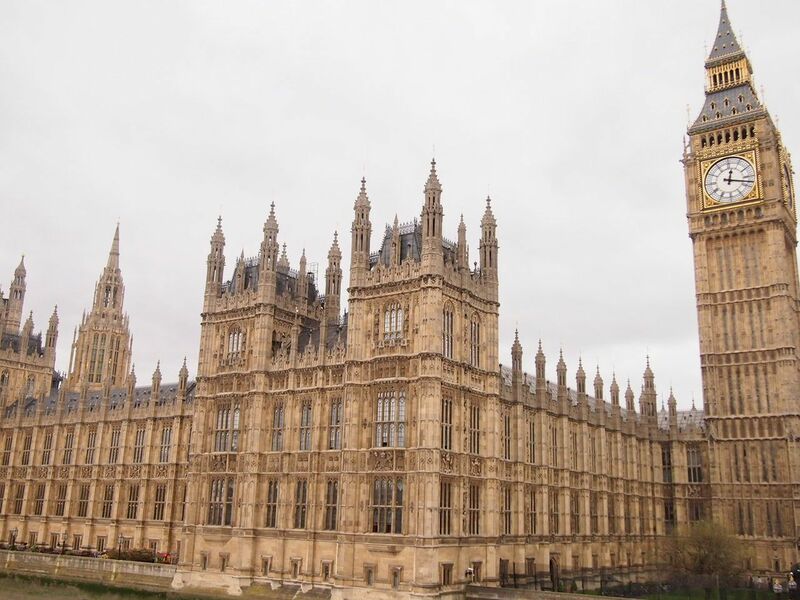 During our terribly short two-day stay in London, X and I managed to cover quite a few of the major attractions! Here's a brief list of what we did and where we went! 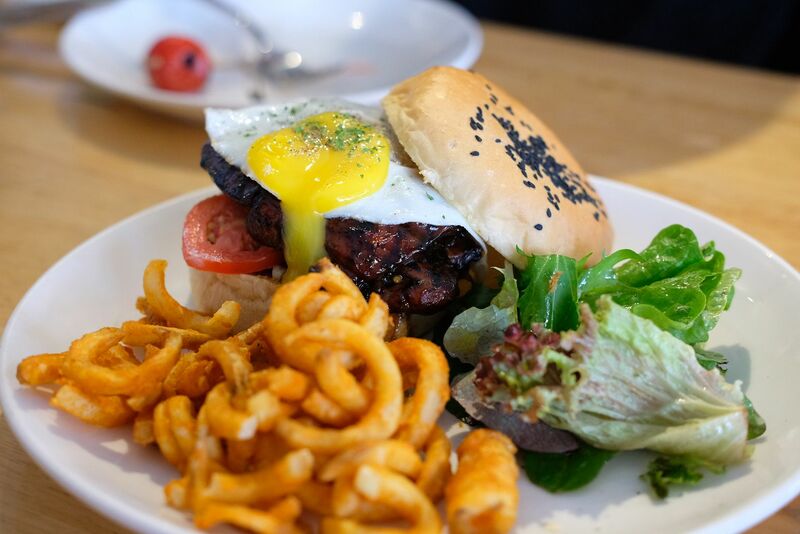 Here's a list of must-eats that we've compiled! If you are heading to Kuala Lumpur, I'm sure you would have done some research on where to stay. It shouldn't come as a surprise that Traders Hotel is one of the top rated and most highly ranked hotels in Kuala Lumpur. Situated in the city centre, Traders Hotel occupies an impeccable location and offers comfort and top notch amenities to travellers from all over the world. Wonder why Traders Hotel is so popular? Read on to find out! Compared to our sunny island Singapore, Malaysia is enormous. Our neighbour has no lack of food or entertainment options too. The close proximity allows us to visit anytime we want – be it a short drive over the causeway for a movie, haircut, or lok lok, or a quick one hour flight to Kuala Lumpur. Widely known for their food streets and night markets, Malaysia plays host to millions of tourists from all over the world yearly. The capital, Kuala Lumpur, draws the most crowd. It’s not difficult to understand why, especially when the streets are lined with restaurants, and street food options, and there are numerous huge shopping malls to hang out at. 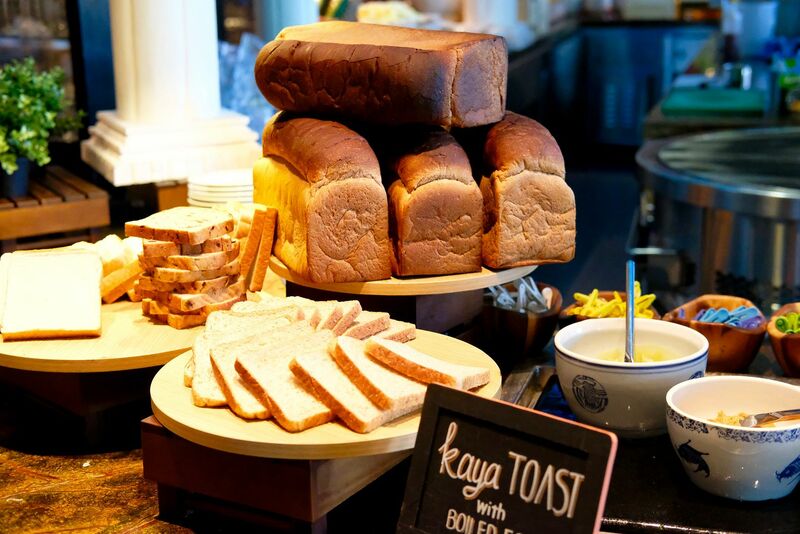 Bukit Timah is home to many cafes and the charming neighbourhood has no lack of F&B options. Joining the party is Catfeine, a relatively new cafe sitting at the corner of the commercial stretch of The Hillford. An abundance of natural light streams into the simply-decorated space. You will notice a snug little corner dedicated to books and feline plushies (truly living up to the CAT in Catfeine). Unlisted Collection has struck again. This time, they bring you Audace, a new dining concept celebrating fine French Bistro fare with a contemporary touch. Audace, short for Audacity, is the brainchild of Michelin Star awarded Chef Jérémy Gillon from Le Montana in the French Alps, and sits pretty in the iconic Wanderlust Hotel. Menu highlights include Roasted Black Carrots and Pork Beetroots dish. There are a ton of companies offering portable wifi devices. Some at cut throat prices, but is the connection really reliable? There are data sim card options too but the amount of data is limited, and if you go on a really long holiday, like I did, the data sim might not be valid for the entire duration. I was going to Japan for a month and I looked through so many options. None of the data sim cards covered my entire holiday. And those that came remotely close to doing so (like 21 days) offered really low amount of data or are quite ridiculously expensive. I just came back from a month in Japan and one of the best meals that I've had in Tokyo was at this relatively new sushi restaurant in Azabujuban. In total, I spent 25 days in Tokyo in 2 trips, and I had tons of good food, so you can have a rough idea of the standard that you can expect here. The restaurant is located on the third level so you gotta keep your eyes peeled for the signboard as you walk along the streets. The 23-seater sports a contemporary look, ruled by darker colours. UNA isn't a stranger to most of us. 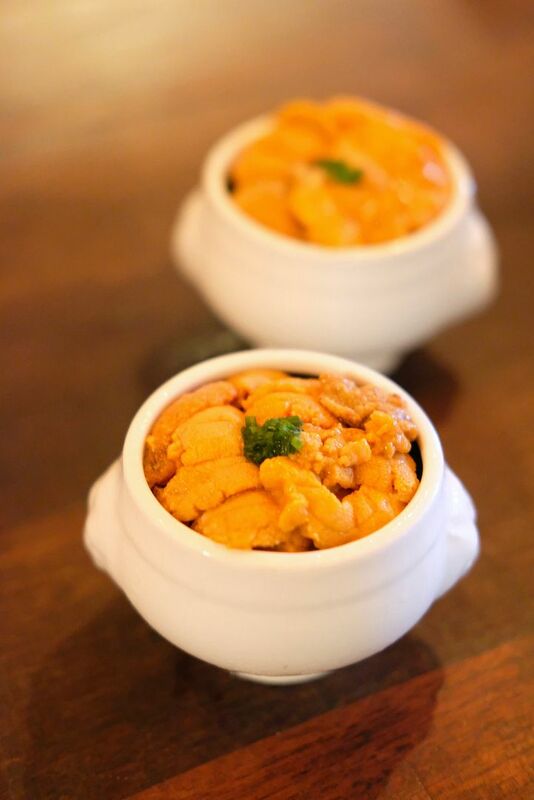 With a beautiful al fresco garden setting and authentic Spanish fare, UNA has long won over the hearts of many diners. 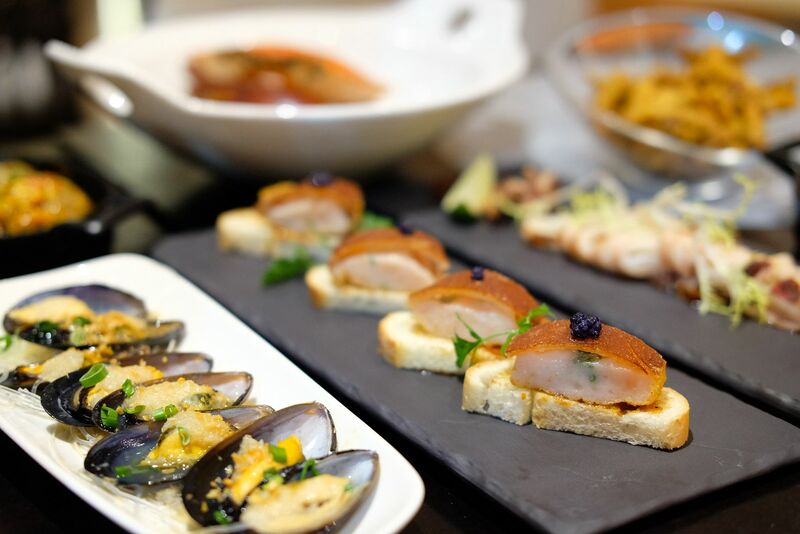 The gorgeous restaurant prides itself on bringing together palate-pleasing flavours and signature delicacies from both the Northern and Southern regions of Spain. 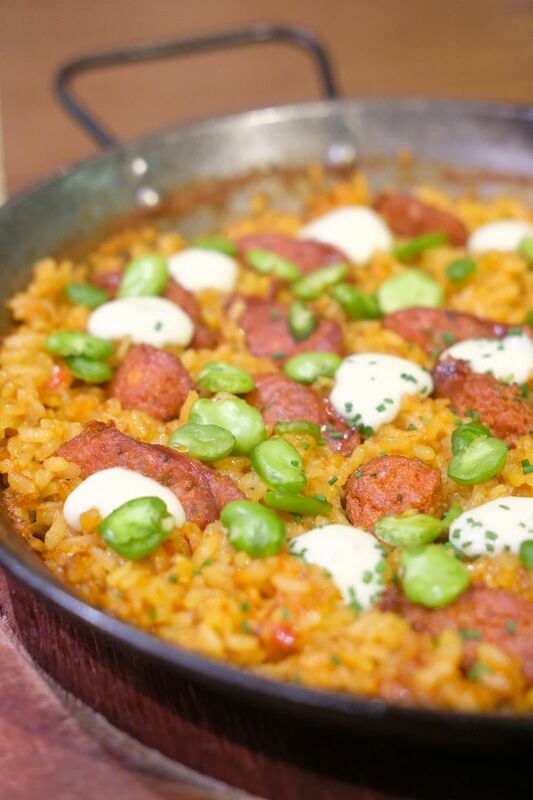 UNA is here to pamper your tastebuds, and possibly, spoil you silly, especially with their Paella De Chorizo Y Habitas. The Hearth & Heat buffet at The Carvery has been running for more than 2 months now but have you tried it? 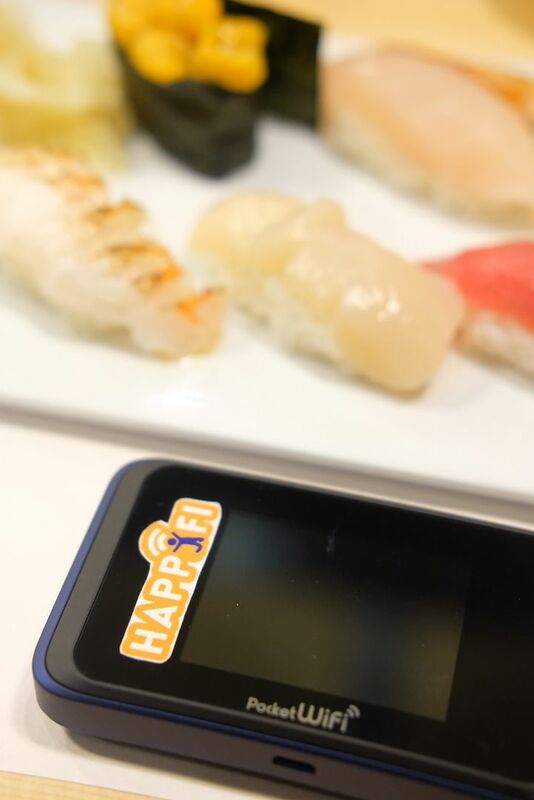 If you haven't, you really should before the buffet ends at the end of this month! 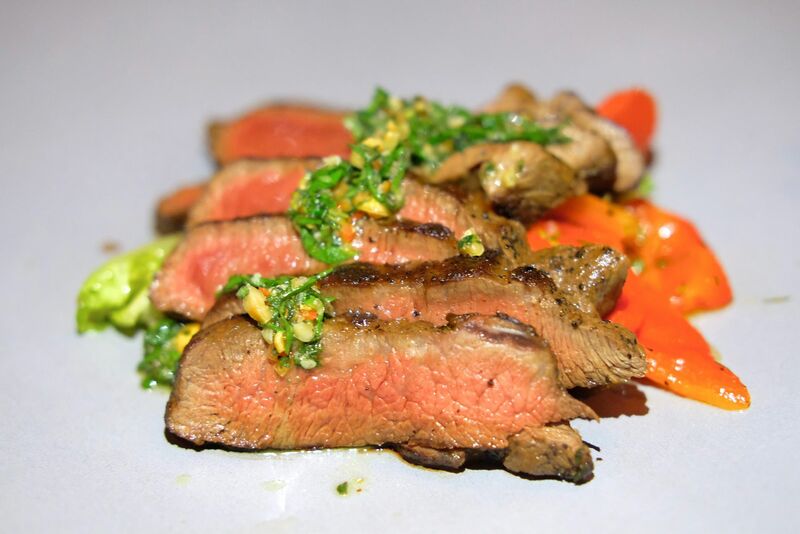 In addition to their regular buffet spread, diners can excite their palates with premium meats and dishes roasted over a spanking new Argentinian Grill which allows for more precise cooking and preparation. 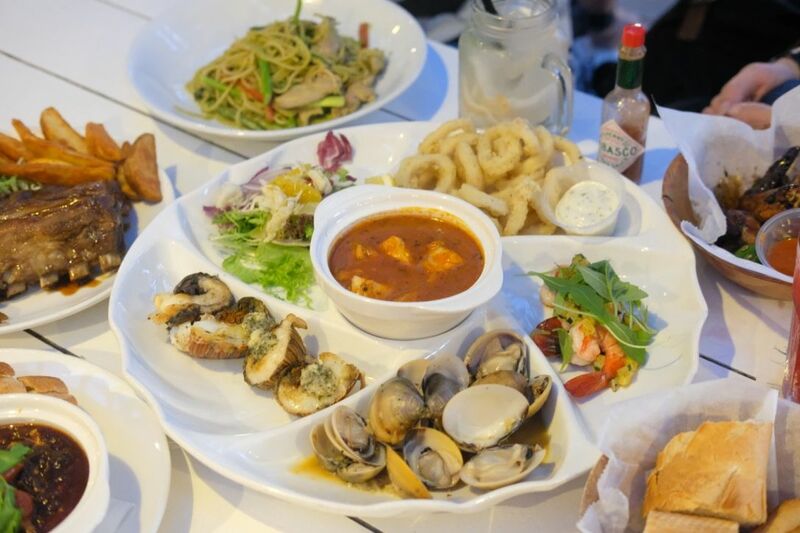 Coastes, situated along Siloso Beach, has rolled out a line-up of new dishes. From beach bites, to seafood, to pastas, each new dish is thoughtfully created to complement the laid-back vibes and breezy charm of the beachfront bar and restaurant. We popped by on a weekday evening for dinner, and the busy restaurant really does boast a good view of the sunset. New Launch Project or Resale Unit? New projects such as new launch condos are developments under construction. 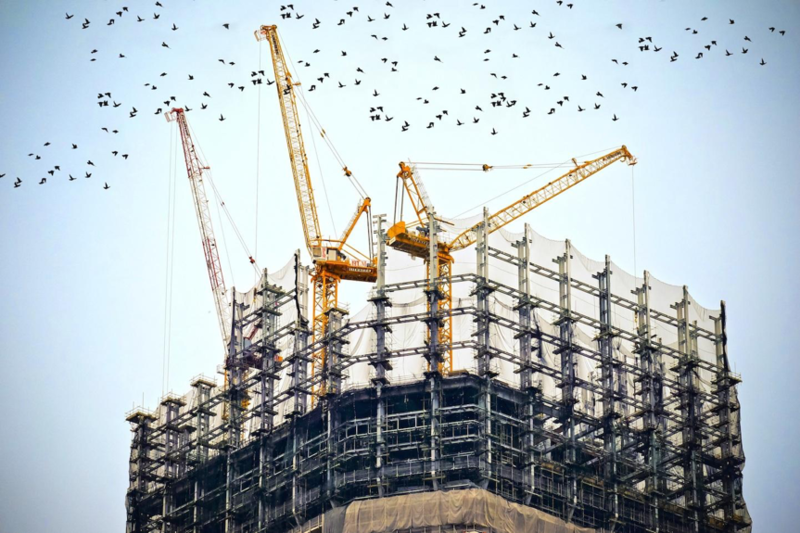 These properties have not yet been built, and developers sell their units off the floor plan. Sometimes, the developer builds show suites or a mock-up of the layout to help prospective buyers visualize the space and placement of furniture. On the other hand, resale units are completed properties, and buyers go into the actual unit to inspect and observe what they are going to buy. The star here is, no prizes for guessing it right, the ginormous egg sandwiches. Each order comes with four fist-sized egg-bread packages. The omelette is not exactly fluffy, I found it to be on the denser side, but the portion is irrefutably generous. Slathered with a thin layer of tomato sauce, the egg sandwich wasn't mind-blowing but it's, no doubt, satisfying. I really liked the steamed white bread though! Are you ready for Pacific Marketplace's refreshed all-day dining menu? 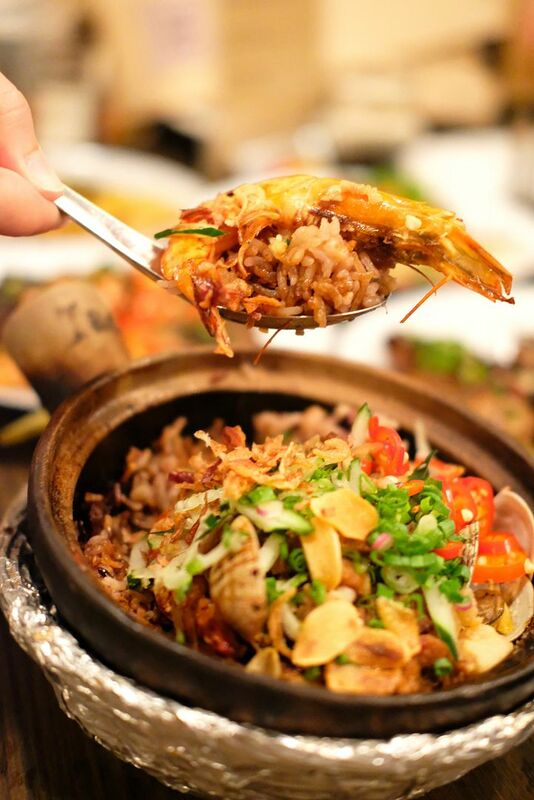 Expect a plethora of Asian delights, salads, sandwiches and sharing dishes inspired by cuisines from all around the world! 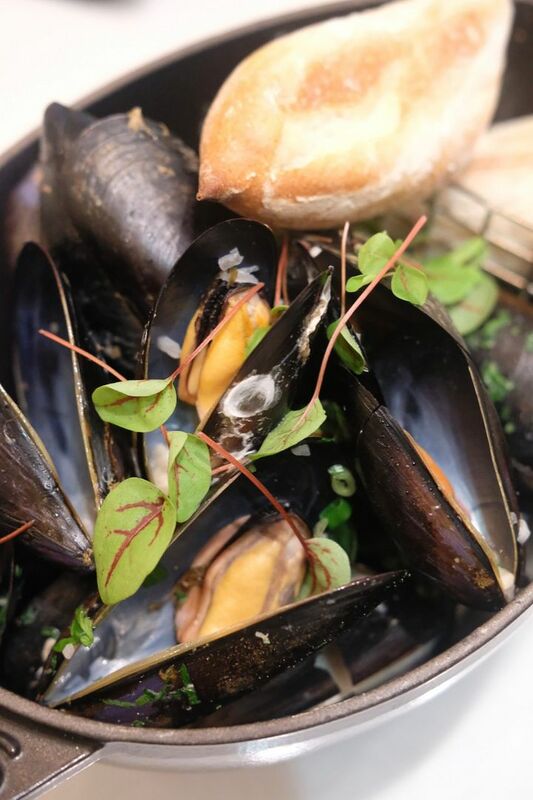 Revel in the flavours of the Provence region with a pot of juicy French Black Mussels steeped in white wine, or dive into sweet and plump Fine de Claire Oysters. Beach Road Kitchen - Crazy Buffet Spread & Luxurious Tomahawk Steak! 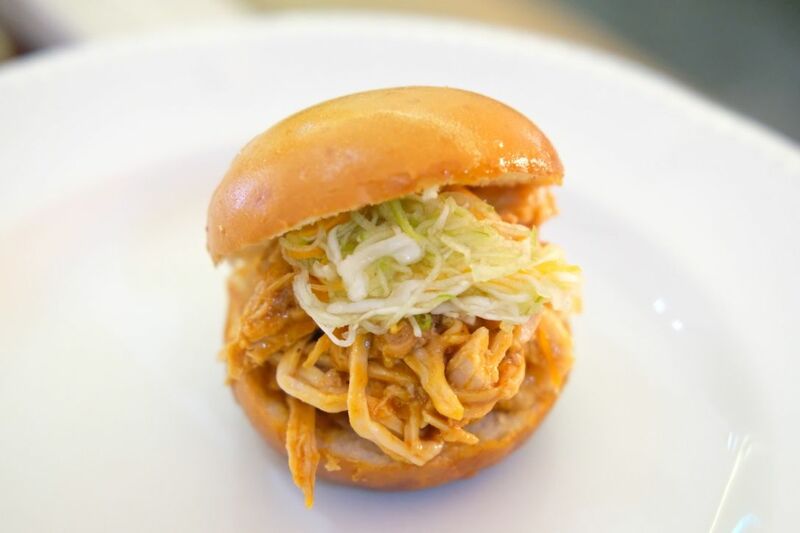 The JW Marriott Singapore South Beach introduces Beach Road Kitchen, an all-day dining destination. The 247-seater is one of nine dining establishments under the luxury hotel. The gorgeous restaurant will definitely catch your eye even if you're just walking past. It's a short walk away from the main hotel building, and sits pretty in South Beach Avenue. I went to Beach Road Kitchen really full, and didn't think that I was gonna eat much but the impressive spread left me no choice but to stuff myself silly. 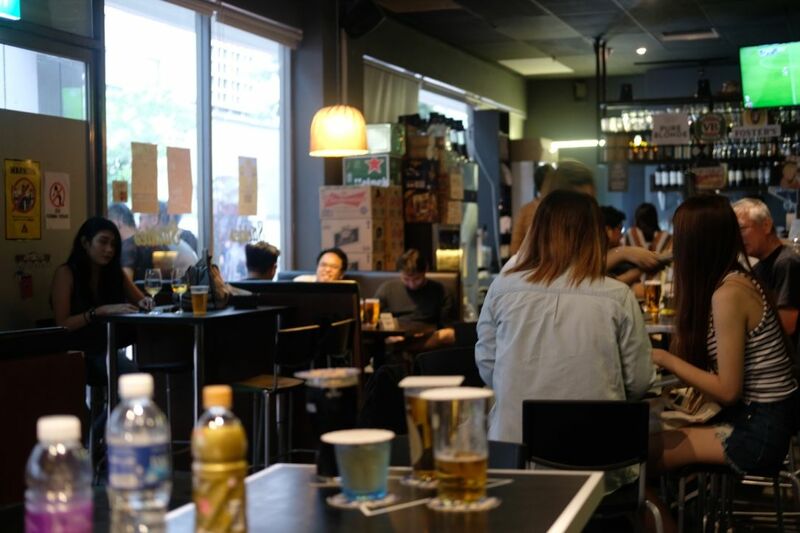 Stickies Bar is truly the place where the early bird catches the good worm. The bar opens at 12pm, and the price of drinks is priced by the hour. If you order at 230pm, each drink will only cost you $2. Think Pure Blonde for $2? A glass of wine for $2? Holy moly, is this for real? 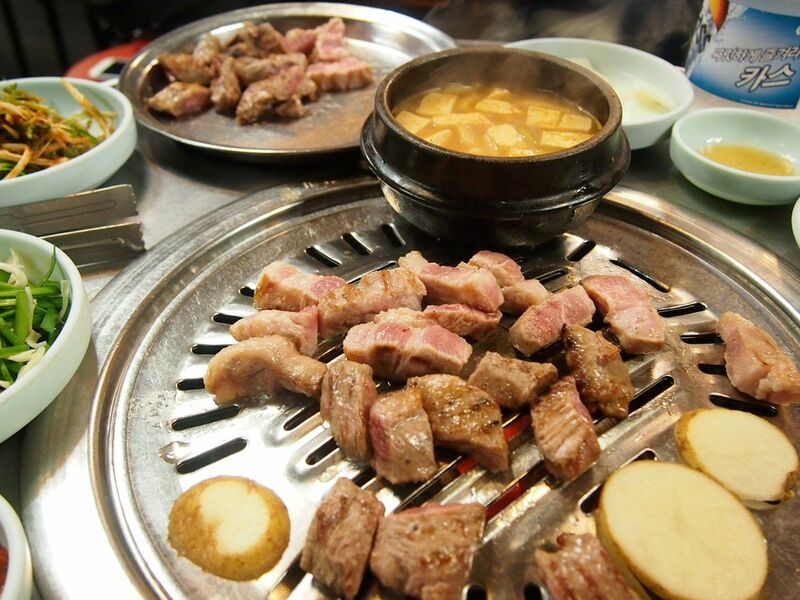 J65 (Hotel Jen Tanglin) - New Live Barbecue Night on Thursdays! From now till May 2017, diners can look forward to 5 new themed buffets at J65, the all-day dining restaurant at Hotel Jen Tanglin. 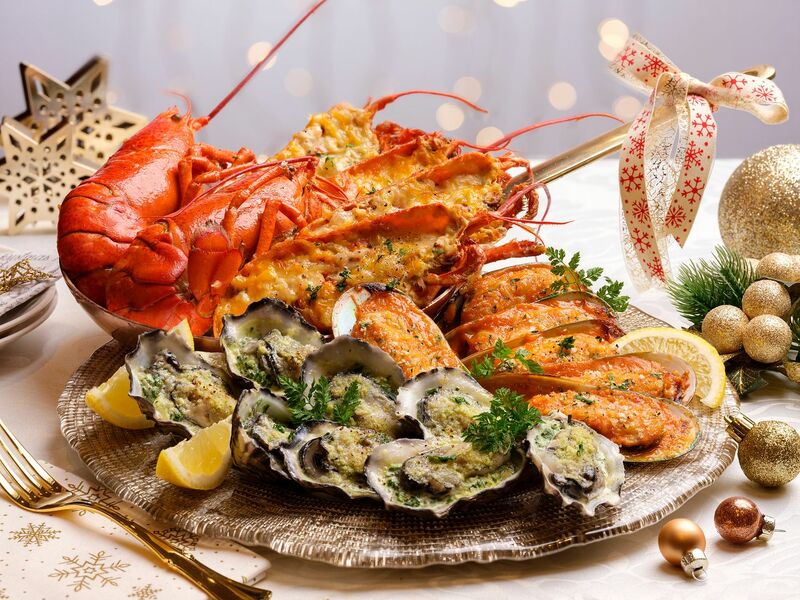 No matter what your craving is, J65 has got you covered with their International buffet, Asian flavours buffet, lobster-centric buffet, live barbecue night and seafood galore buffet. 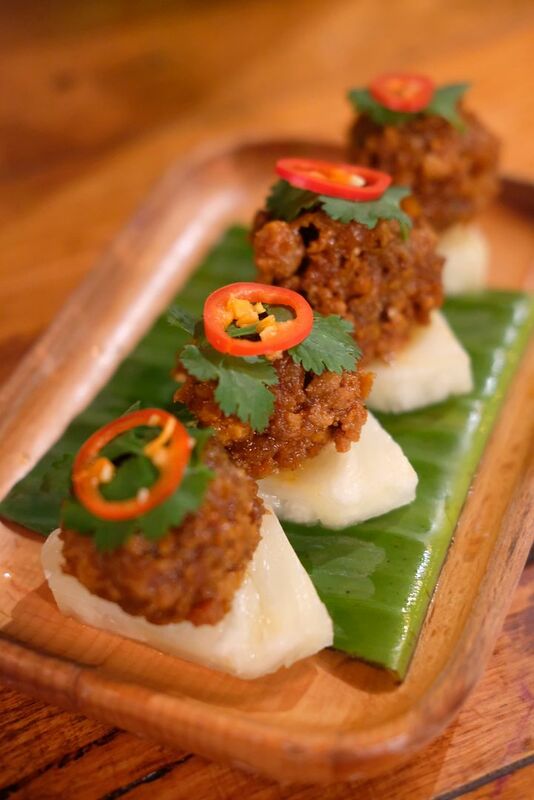 Just six months old, Birds of a Feather has really made a name for itself with its repertoire of contemporary Western dishes that are inspired by traditional Sichuan cuisine. The restaurant is gorgeous. It has natural light streaming through the glass roof in the day, and it rocks a romantic ambience when night falls. And now, they have launched a new all-day weekend brunch that runs from 10am to 5pm. 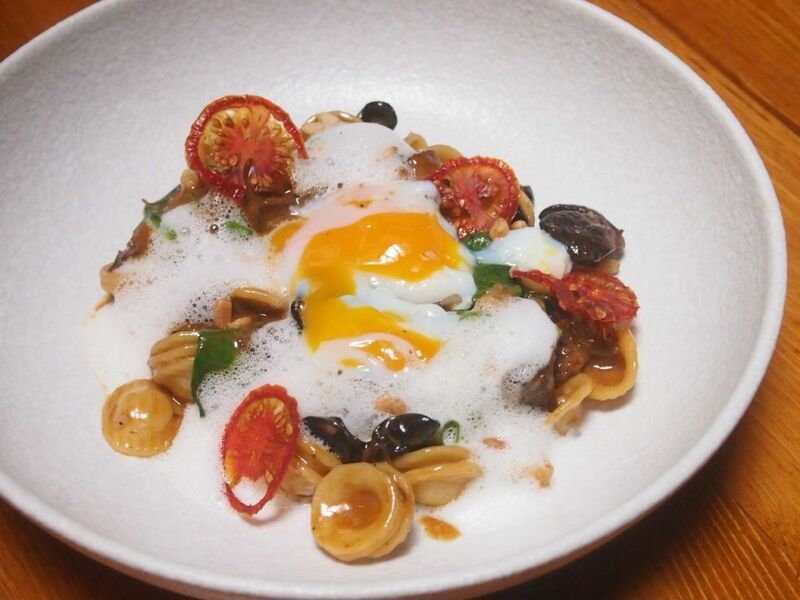 The Hong Shao Beef Ragout Orecchiette ($26) is an absolute must-try! 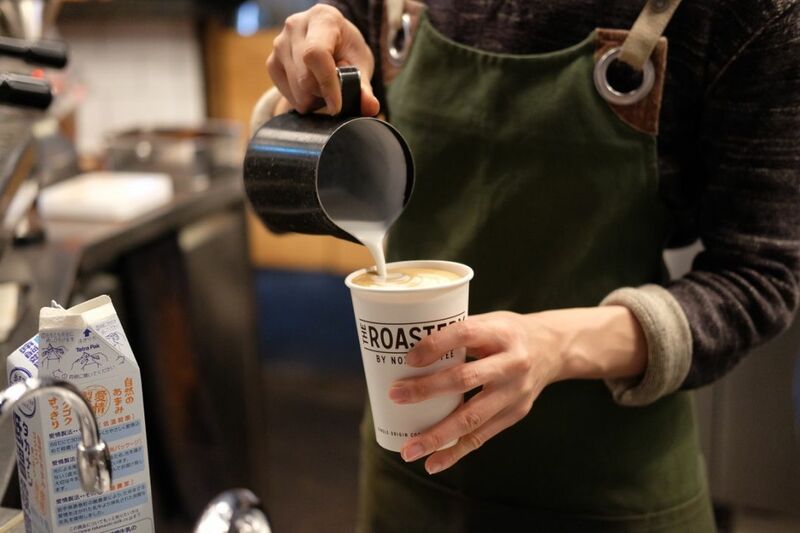 While my travel partner was queuing for the famous Luke's Lobster, I decided to make a quick trip to The Roastery for a cup of latte. The cafe was really popular. Not only was it packed, there were two long queues stretching out of the entrance. 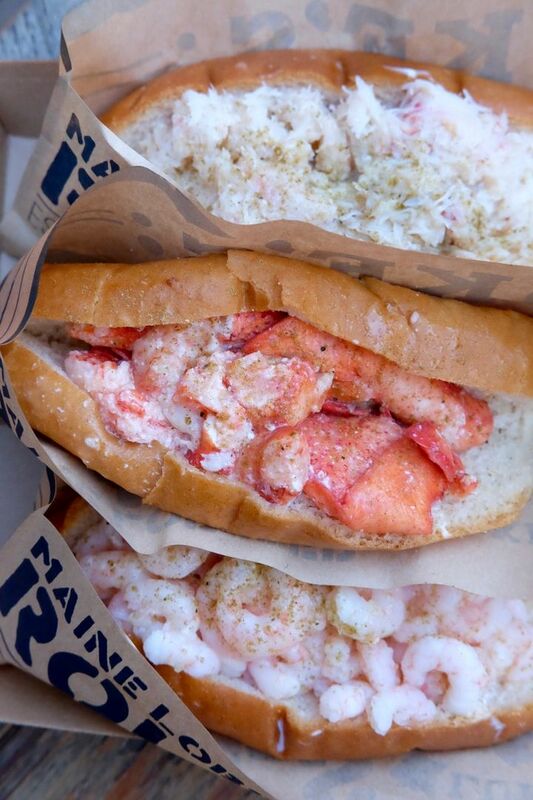 Luke's Lobster(Omotesando) - Best Lobster Roll? People rave about Luke's Lobster all the time and I was all ready to give it a try. All the way from New York, the snug little booth in the popular Omotesando area is familiar to snaking long queues and throngs of tourists. The queue was super long, unfortunately, when I got there and we queued for close to an hour for these babies. We decided to get a trio of sandwiches so we had a variety of seafood to savour. Shrimp, crab and lobster!